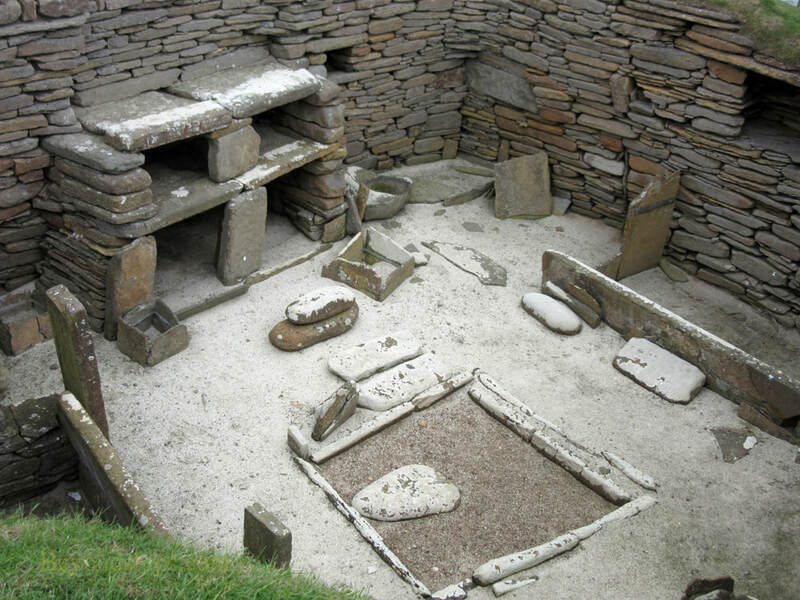 Skara Brae is most complete Neolithic Village in Europe. Located on the west coast of Mainland Orkney, it is a Wold Heritage site. The village consist of nine houses. 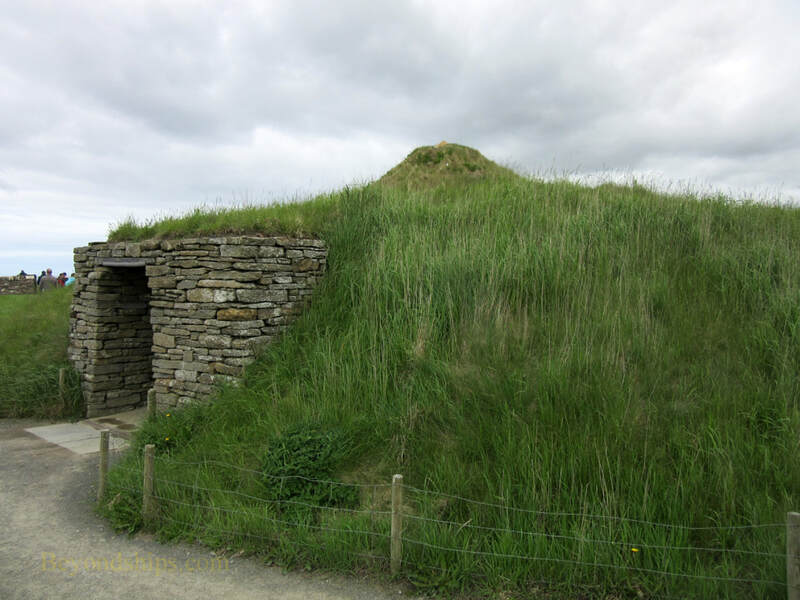 Each house was built of flat stones placed into a mound of midden (waste). All are single room structures with a low doorway that could be blocked off by a stone door. Eight of the houses have identical stone furniture including beds, dressers and storage boxes. There was also a primitive form of toilet. The ninth house is divided into cubicles and may have been used as a work area. The settlement is believed to have been occupied from 3180 to 2500 BC. From the artifacts discovered in the houses, it is believed that the villagers were farmers, huntsmen and fishermen. The last of weapons suggests that it was a peaceful community. 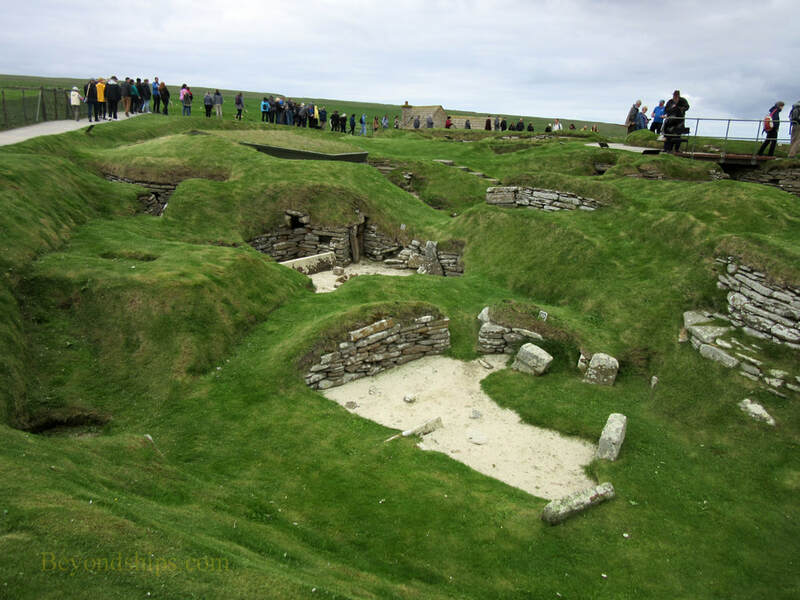 It is not clear why Skara Brae was abandoned. It has been suggested that it could have been the result of a cataclysmic event such as a sandstorm covering the village. Alternatively, it may have been a more gradual abandonment brought on by climate change as Orkney's climate became colder and wetter. Located on the shore of the Bay of Shaill, portions of the village may have washed away over the centuries. 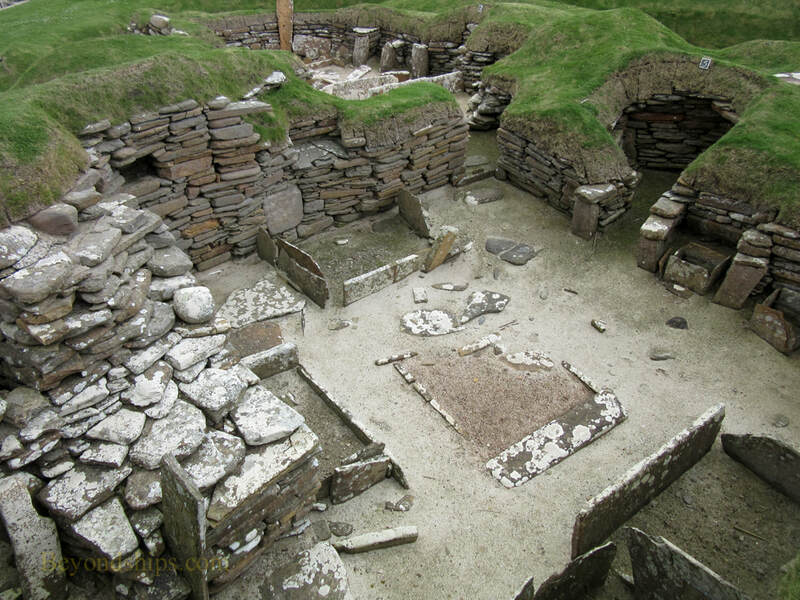 Thus, it is possible that Skara Brae may have been a much larger community than the existing remains suggest. The village was discovered in 1650 after a severe storm washed away part of the coast. William Watt, 7th Laird of Skaill, undertook an amateur excavation of the site but this was abandoned in 1868. Two events led to protection for the village. During a weekend in 1913, an unknown party pillaged the site and took away some of the artifacts. Then in 1924, a storm carried away one of the houses. Today, next to the visitor center, there is a recreation of how one of the houses would have looked when the village was occupied. A trail leading from the visitor center to the village is marked as a time line. Using distance as a proxy for time, the trail has been scaled to give visitors an idea of the age of the village. Before arriving at the village, you pass markers showing when the Great Pyramids were built and when Stonehenge was built. The distance underscores that this was a long time ago. 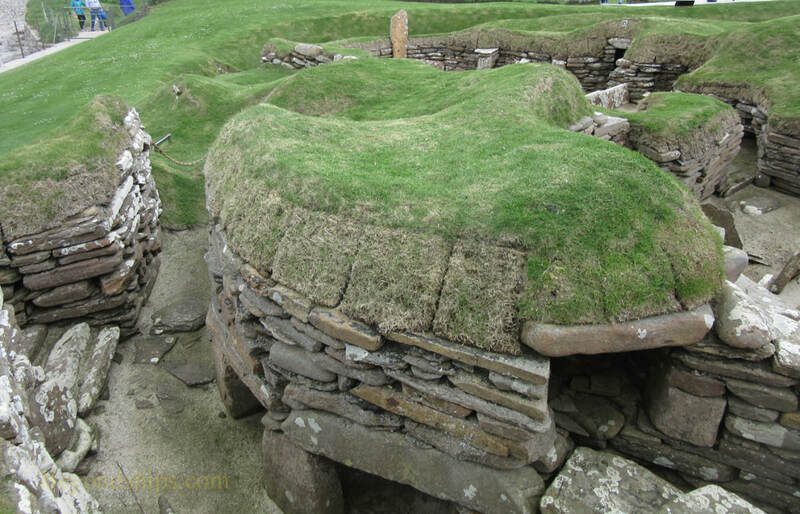 Admission to Skara Brae also includes admission to Skaill House, which overlooks the village. 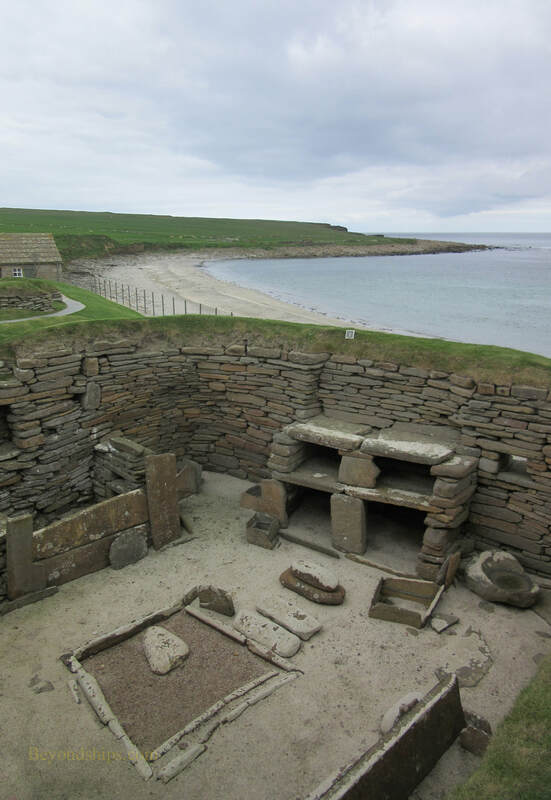 For more information on visiting Skara Brae, see the Historic Environment Scotland website. 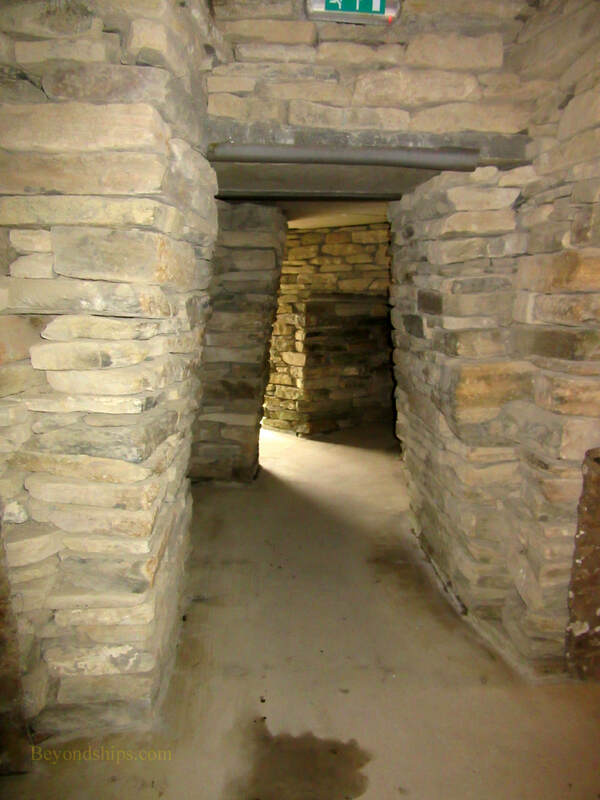 A recreation of one of the Skara Brae structures.